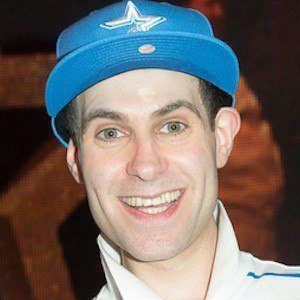 British comedian who infamously ran on stage during a Stereo Kicks performance on the X Factor while portraying his chav character, Lee Nelson. He performs stand up and has written and appeared on television as well in shows such as Al Murray's Multiple Personality Disorder, Lee Nelson's Well Good Show and Lee Nelson's Well Funny People. Before beginning his stand up career in 2004, he attended the University College School, Hampstead and studied medicine at Manchester University. He qualified to be a doctor in 2001. He was awarded The Writers' Guild Award for Best Newcomer in Edinburgh for his show Everyone But Himself. He was born in Camden, London, England. He appeared as Lee Nelson in an episode of BBC One's Live at the Apollo along with Sean Lock and Jo Brand.